Royal Musings: Let's get Chumley! I am not going to take sides in the yes-William-had-an-affair-with-Lady C or no-William-has-not-plucked-a-garden-Rose. But I will use this post to point out that royal writers and news sites called The Daily Beast are clueless about titles and so much else. The Rose in question is the Marchioness of Cholmondeley, the wife of David George Philip Cholmondeley, 7th Marquess of Cholmondeley, Earl of Rocksavage, Viscount Malpas. The family surname is Cholmondeley, pronounced Chumley. As a peer of the realm, Lord Cholmondeley signs his name as Cholmondeley. His wife signs her name as Rose Cholmondeley. The present Marquess was born in 1960. When his grandfather, George, the 4th Marquess was alive, David was styled as Viscount Malpas. David's father, then the Earl of Rocksavage succeeded to the Marquessate in 1960. David, as the heir apparent, was now styled as the Earl of Rocksavage (Lord Rocksavage). 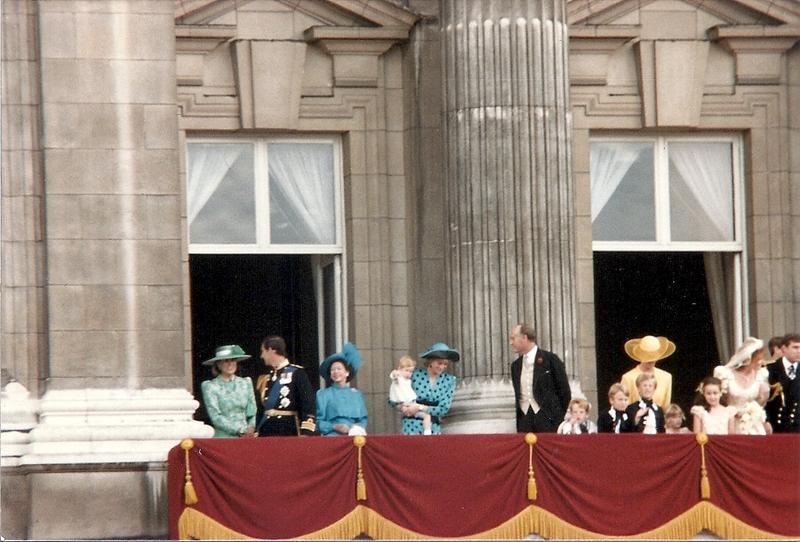 In 1990, David succeeded his father as the 7th Marquess. Lord Cholmondeley is a descendant of Sir Robert Walpole, Britain's first Prime Minister. A portion of the family's wealth came when his grandfather married Sybil Sassoon, a descendant of the Sassoon and Rothschild families. He is the Lord Great Chamberlain, a hereditary honor that he will hold through Queen Elizabeth II's reign. The position passed to the family after the first Marquess of Cholmondeley married Lady Georgiana Charlotte Bertie, daughter of Peregrine Bertie, 3rd Duke of Ancaster and Kesteven. The position had been held by the Dukes of Ancaster and Kesteven. With the death of Lady Georgiana's brother, Robert, the 4th Duke, who died without issue, the position of Lord Great Chamberlain went into abeyance The second, fourth, fifth, sixth and seventh marquesses have all held this office. The fourth Duke's two sisters, Lady Priscilla and Lady Georgiana, were joint heirs to the position. The House of Lords declared that Lord Great Chamberlain's office would be shared between the two sisters and their heirs. Lady Priscilla's half share has been split numerous times but Georgiana's line has maintained the full half share due to the direct line of descent in the male line for the marquessate. Lord Cholmondeley married Sarah Rose Hanbury, daughter of Tim Hanbury and Emma Longman, whose mother, Lady Elizabeth Lambart, daughter of the 10th Earl of Cavan, was one of Princess Elizabeth's bridesmaids. Rose's sister, Marina is married to the 7th Earl of Durham. The marriage took place on June 24, 2009, a day after the engagement announcement was made. The bride was pregnant. She gave birth prematurely to twin sons, Alexander Hugh George and Oliver Timothy George on October 12, 2009. As the firstborn son, Alexander bears the courtesy title Earl of Rocksavage, Oliver, as a younger son of a Marquess, is as Lord Oliver Cholmondeley, not Oliver Lord Cholmondeley. A younger sister, Lady Iris Marina Aline Cholmondeley was born in March 2016. It is incorrect to refer to Rose by her maiden name or as Lady Rose as she is not the daughter of a duke, marquess or an earl. And the reason that Prince Harry and Lady Cholmondeley were paired at the State Banquet for the King and Queen of Spain in 2017 was due to precedence, nothing more. As Lord Great Chamberlain, Lord Cholmondeley has higher precedence than if he were attending as a Marquess in the peerage of the United Kingdom. Richard Kay, whose job it was to allegedly provide cover for William, wrote in a recent article that "So does all that add up to a close friendship? According to an authoritative family source, the two couples have been to each other’s homes only three times." This comment is slightly off-kilter as Lord and Lady Cholmondeley and the Duke and Duchess of Cambridge are all members of Norfolk's "Turnip Toff's" social circle. The Marquess and Marchioness were guests at the Duchess of Cambridge's birthday parties at Anmer Hall in January 2017 and 2018. On both occasions, David and Rose joined other party guests for Sunday service with the Queen at Sandringham. Rose is next to her husband in the photograph. Lord and Lady Cholmondeley live at Houghton Hall, which is a few miles from Anmer Hall, the Duke and Duchess of Cambridge's country residence. Lord Cholmondeley also owns Cholmondeley Castle in Cheshire. By car, it is a 15-minute drive Houghton to Anmer. Thank you the clarifications on the title. Your second to last paragraph make it seem the couples were alot closer than Richard Kay would like us to believe. It would be nice to know, when assessing all this, if Kate has the kind of birthday parties where she invites everyone she knows near Anmer Hall and KP, or the sort where she only invites family and immediate friends. As for the rumors of cheating -- I'm willing to bet they were generated by the media. The media has nothing to write about if Kate and William have a normal basically-good-with-occasional-bumps marriage. But if one of them is cheating, then the stories practically write themselves ("Is William following in Dad's faithless footsteps?" "Will Kate follow Diana into another's arms?" -- see how easy and I'm not even a headline writer!) and they are good click bait as well. And as for "journalists" who cover royalty, I've noticed that they never give sourcing by name. It's always "Palace sources" or "friends say." Not very reliable, especially the "friends." I don't know anybody famous but if I did the only thing I would say to media is "No comment." His grandfather, the 5th Marquess served during the brief reign of Edward VIII. George VI named the 2nd earl of Ancaster as LGC until 1951, when his son, James, the 3nd Earl of Ancaster, who was married to the Hon. Nancy Astor (daughter of Lord and Lady Astor). his only son was lost at sea in 1963. He remained in the position until George died - when his daughter who inherited the barony Willoughby de Erse, but the Ancaster earldom became extinct with his death in 1983. Nancy is joint LGC with 1/4 interest with Lord C. He has a half interest. When Elizabeth became queen, the position reverted to the Cholmondeleys. the 5th marquess served until 1966. His son, as Lord Rocksavage was deputy until he succeeded in 1968, and now his son. In Charles' reign, it will be one of two men, Sebastian St Maur Miller (who is a grandson of Nancy's older aunt, or her first cousin, Sir. John Aird, Bt, the son of her younger aunt). The two men split her 1/4 share with inheriting one/eighth each. Sir John was born in 1940 and he has a son. Do you really think William cheated on Kate knowing and seeing what his father did to his mother. And knowing what he said during their engagement interview. I just pray all this is crap being written. Adultery can happen in any marriage, even if a parent was involved in adultery. I am not saying yes or no, but calling the lawyers to say that his human rights have been violated --os strange - and now the reports of a media blackout regarding Prince William, allegedly.